SpyShelter Premium is an award winning anti-keylogger which was specifically designed to stop all spyware like keyloggers, webcam loggers, sound loggers and other malicious applications which endanger your privacy. SpyShelter is a process-based solution capable of detecting zero-day malware, and it does not require malware signature database. Our software works with Windows XP/Vista/7/8/8.1/10, uses barely up to 40MB of system memory and is compatible with most of antivirus solutions. On top of that we are offering the only keystroke encryption driver in the World which encrypts keystrokes inside all applications, as well as console apps – in all languages(this includes east-asian languages). 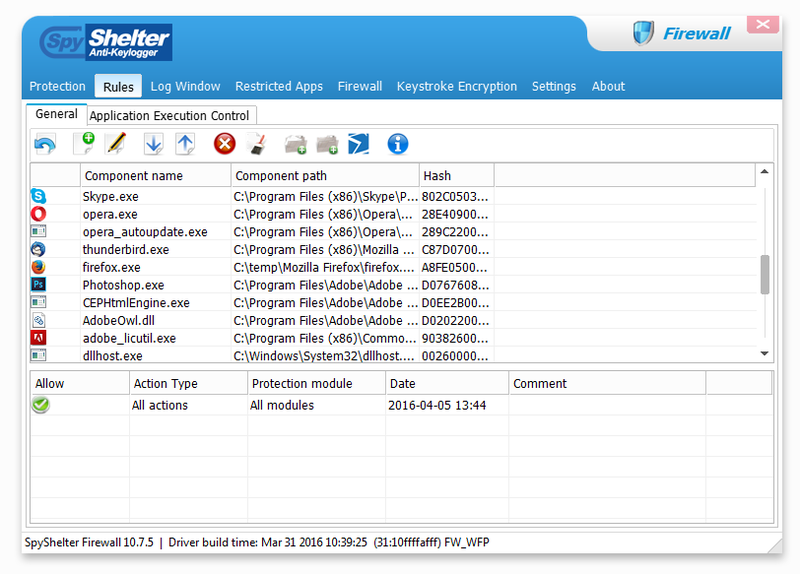 And keystroke encryption is just one of many features available in our software.